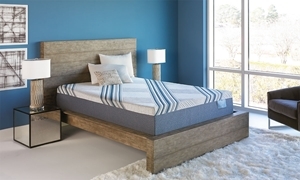 If you love everything about the high-end memory foam mattresses out there except the high price, check out iTwin Hi-Tech at Haynes. 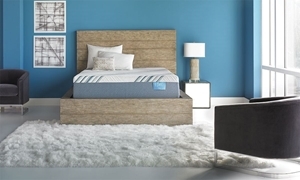 We’ve partnered with the leading producer of luxury comfort foams, right here in Richmond, to create cooling, conforming, ultra-comfortable memory foam mattresses that rival every aspect of the high-end brands in every way but one: iTwin Hi-tech is half the price. Now you can try iTwin Hi-tech for yourself with our 120-night comfort guarantee. If you don’t love your iTwin Hi-Tech memory foam mattress within 120 nights, we’ll exchange it to make sure you get the best sleep of your life. Compare that to their 90-day guarantees. Haynes takes half off the price, and you can take your time to decide. Active Air Technology™ provides a cool feel to this plush king mattress with conforming and pressure-reliving gel foam layers. 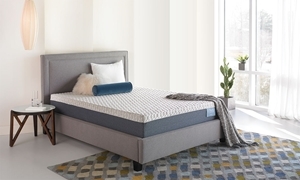 Active Air Technology™ provides a cool feel to this plush queen mattress with conforming and pressure-reliving gel foam layers. 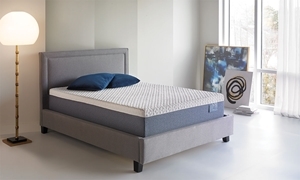 King mattress features liquid and transition gel foam layers to adapt to both your shape and body temperature throughout the night. 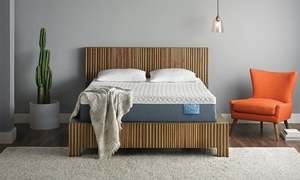 Queen mattress features liquid and transition gel foam layers to adapt to both your shape and body temperature throughout the night. 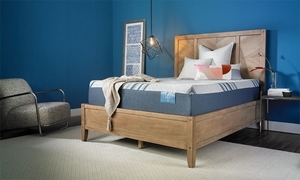 This king mattress is at the top of its class with a quick-drying quilt over plush layers of gel and foam with air flow technology. A soft, quick drying quilt over layers of liquid gel and memory foams gives this American-made king mattress cloud-like comfort. A quick drying, soft quilt over cooling liquid gel and memory foam layers make this plush king mattress feel like a cloud. A quick drying, soft quilt over cooling liquid gel and memory foam layers make this plush queen mattress feel like a cloud. This queen mattress is at the top of its class with a quick-drying quilt over plush layers of gel and foam with air flow technology. A soft, quick drying quilt over layers of liquid gel and memory foams gives this American-made queen mattress cloud-like comfort.